For over one hundred years, men and women around the world have been dressing up as their favourite characters from movies, games, comics, TV and books. Beginning as a curiosity and hobby for social outcasts, it's now a global phenomenon, fuelled by the Internet and an explosion in geek fandom. This in-depth look at the world of cosplay includes interviews with the stars, photographers and props builders, offers insights into cosplay's history, current landscape and explains its creative processes, like how to build the perfect costume. Cosplay World features over two hundred compelling photographs, showcasing everything from campy 70's costumes to cutting-edge suits engineered in workshops and built using space-age materials. The result is both a celebration and serious look at a popular means of self-expression that continues to fascinate. "A celebration of and an informed look at a popular means of self-expression that continues to fascinate. . . Filled with striking images of costume play from around the world, this definitive look at the global phenomenon known as 'cosplay' examines its evolution from the fringes of society to the spotlight of modern culture." 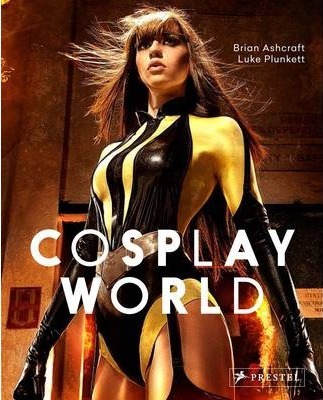 "A beautiful coffee-table book for those wanting a brief introduction to the history and possibilities of cosplay." "A stunning book filled with cosplay inspiration, biographies, interviews, and a history of costume play. . . definitely a must-have." Brian Ashcraft is a senior contributing editor for the video game site, Kotaku, an arm of Gawker.com. He is the author of Arcade Mania! and Japanese Schoolgirl Confidential Luke Plunkett is a video game writer based in Canberra, Australia and a contributing editor for Kotaku.